Behind Central Station are several scheduled ferry services. They connect the city center with the northern part of Amsterdam for pedestrians and cyclists. All ferries are free of charge. The longest (about 20 minutes) and most interesting ride is the one to the NDSM-Wharf. This will give you an interesting glimpse of the Amsterdam harbor, including freight ships and- if you’re lucky- the occasional giant cruise ship. Some recent developments on both shores of the IJ are interesting from a architectonic point of view: among others the EYE, the IJdock and the Silodam. Then the NDSM-Wharf itself, place of the rise and the fall of the legendary NDSM ship building company. After a period as a somewhat desolate area it became a favorite place for artist and party people. 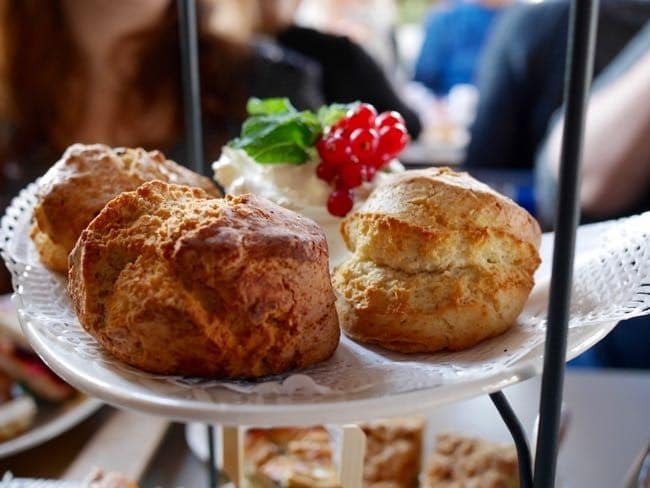 And now it is immensely popular with the creative industry and the hospitality industry. Next to the dock of the ferry are some interesting ships to admire, among others a true submarine. For more information on artist, companies, restaurants, events and other things please visit the website of the NDSM-Wharf. What’s it like to live on a houseboat? There’s two ways to find out. The easiest -and cheapest- option is to visit the Amsterdam houseboat museum. It’s centrally located on Prinsengracht. For less than a fiver you can actually enter the houseboat and find out about all the peculiarities of living on a houseboat. The more intense -and more expensive- option is to actually rent a houseboat to stay on. 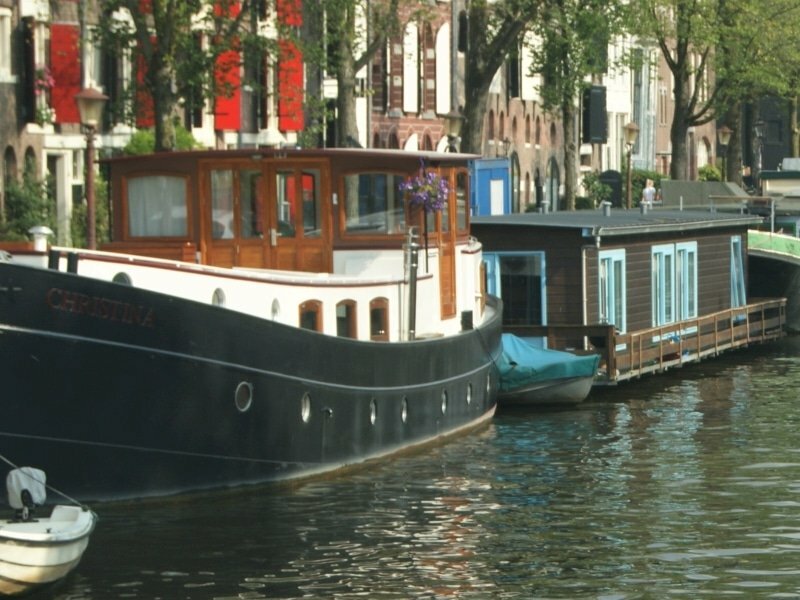 Check out our 9 things to keep in mind if you want to rent a houseboat in Amsterdam. This is a beautiful canal house turned into a modern museum experience, focusing on the development and importance of the Amsterdam canals over the centuries. ‘Het Grachtenhuis’ is also centrally located on Herengracht and entrance will cost you a tenner. For a more thorough experience and some more information on the Amsterdam harbor we recommend to make a harbor cruise. For obvious reasons not as well-known and popular as a canal cruise, but definitely an interesting experience. The Rondvaartvergelijker gives a good overview of boat trips through the Amsterdam harbor. The Maritime Museum is located in the Arsenal, built in 1656 and the former storehouse of the Admiralty of Amsterdam. 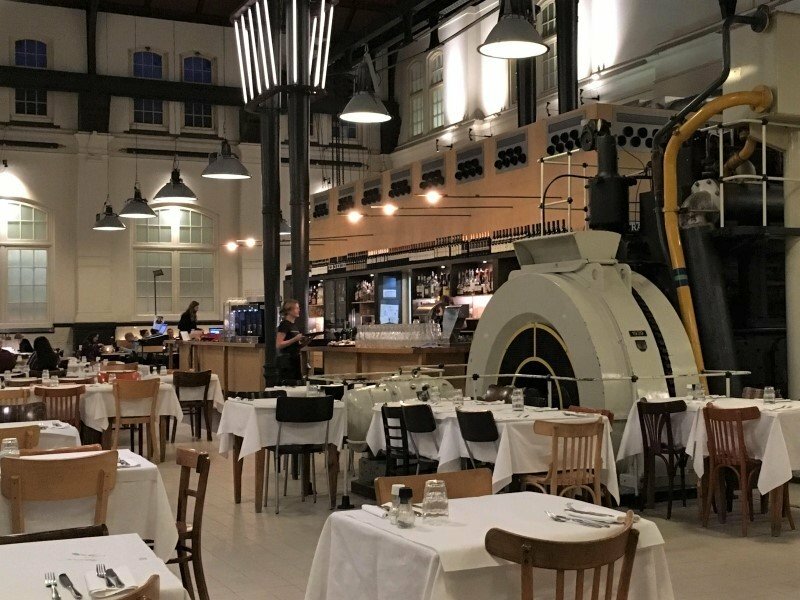 It houses an impressive collection of Dutch maritime heritage, including antique maps and globes, scale models, ship decorations, maritime paintings by famous Dutch masters and the Royal Barge. The admission fee of € 15,- includes entrance to a replica of the VOC-ship Amsterdam that sunk on its maiden voyage in 1749. The early forerunner of the Titanic tragedy, so to speak. Also in the Oosterdok, within short walking distance is the Museumhaven, an association of some 20 historic (mostly sailing) vessels. Amsterdam has a few officially marked outdoor swimming spots. They can be found at the Sloterplas, Nieuwe Meer, Blijburg, Diemerpark and the Amstel river near Oudekerkerdijk. Swimming at other places is officially not allowed, but in summer people still do so at their own risk. Popular places among others are the Amstel a bit north of Berlagebrug, in the Oosterdok close to Hanneke’s Boom, next to the Stenen Hoofd in the IJ, at the Westelijke eilanden (Western Islands), in the Schinkel near the Olympic Stadium and at several locations (Borneokade en Bogortuin) in the ‘Oostelijk Havengebied’ (Eastern Docklands). Check out this interesting article about outdoor swimming in Amsterdam by local newspaper ‘Het Parool’ (in Dutch). Every five years millions of people come to see the convoy of tall ships that moor up in Amsterdam for a couple of days. One can visit ships, learn about life at sea and maritime heritage and there are lots of events such as live music and fireworks. If you’re a true sailor make sure to block the next edition of SAIL (12-16 August 2020) in your agenda and try to book your accommodation as early as possible. Needless to say that the actual number 1 must do for water enthusiasts is to rent your own boat on the Amsterdam canals. 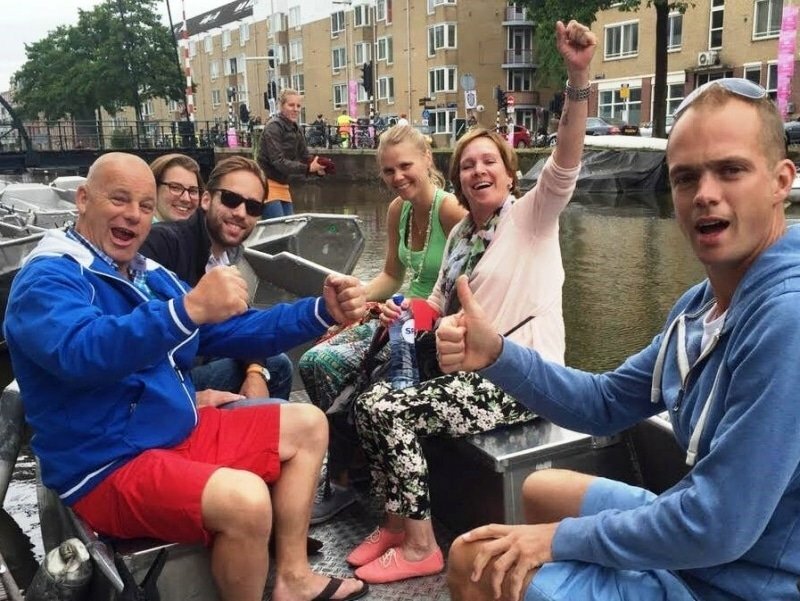 If you haven’t booked your Amsterdam boat rental yet, this is the time to do so! A final word of advice for all ‘water freaks’: make sure to rent your own boat on the Amsterdam canals. 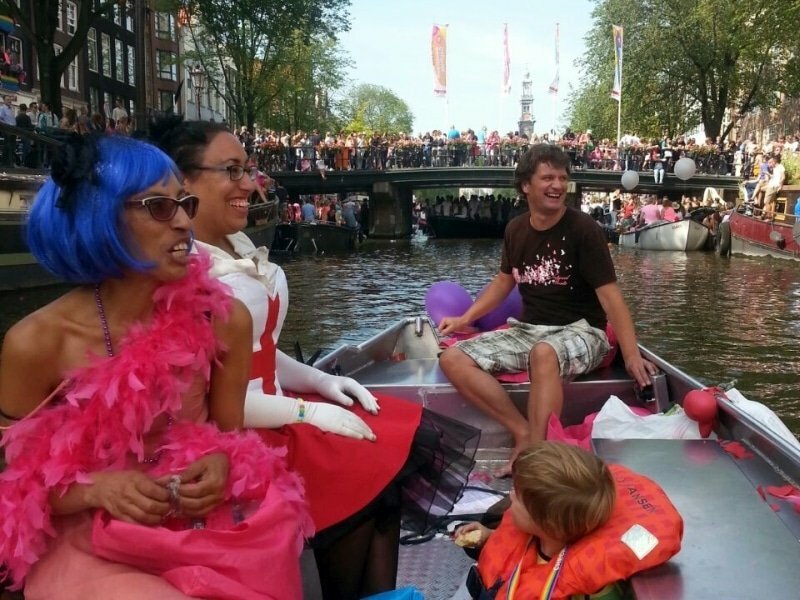 If you haven’t booked your Amsterdam boat rental yet, this is the time to do so!